While many work on emulators to boost resolutions of retro systems, genuine hardware mods are arguably the truest way to enjoy older games with a crisper, clearer picture. With that in mind we're always interested in mods that can apply a digital HDMI output to retro consoles and, as a result, improve the image and make them sparkle. We've got our hands on a GameCube HDMI mod which does just that, providing that switch to a digital output and also offering some other options. We're planning to produce a few videos on the topic, but until then you can read more details here and on its product page. It's a physical hardware mod, so you're still playing the original game discs on the correct hardware. 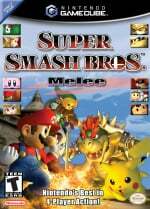 Our video man Alex has naturally chosen Super Smash Bros. Melee as an early game to try out with the mod. He'll be analysing it in more detail soon but, for now, check out Melee looking its best on GameCube hardware. I mean, if I wanted to play HD Smash Bros, I would just play Smash Wii U. ...and I can't edit comments for some reason....anyways it's old and boring and outdated. @Megumi Tell that to the 100k people watching melee grand finals at genesis 3 last night. @Megumi you're missing the whole point of the video. and the article at that. this has nothing to do with melee aside from the fact that it was chosen to demonstrate with. The Melee comments are kinda unnecessary. This is a Gamecube mod, not a Melee mod, lol. This is neat, but Dolphin does anti aliasing and widescreen. And online play. And doesn't cost $238.03. It's a cool thing for hardware enthusiasts though. Dolphin continues to see more usefulness. (It's easier to implement than this.) And it's still worth covering Melee, because as tournament venues prove time and again, more people are interested in watching Melee tournaments than Smash 4 tournaments. Melee is simply the better tournament fighter. Even if it's less varied because of the metagame, it is much snappier, has more complexity and nuance in it's mechanics, and has much more intensity than Smash 4. On another note, there may be no input lag with this HD mod, but to take advantage of HD, you need a screen which can take advantage of that feature... But as all tournament players and goers know, there is no such thing as a 100% lagless digital monitor or screen. That's why CRT's are still used, because they don't require post processing to beam frame perfect images rapidly onto the screen. So unfortunately, this HD mod is only useful for casual use, not serious tournament play. There's some very noticeable interlacing on that video, when played in 60FPS. Did that Gamecube originally run this game in 640i rather than 640p? Wind Waker or Paper Mario probably would have been a better choice to showcase this mod as those games look beautiful when they aren't blurry. @RupeeClock Isn't it 480 interlaced with composite, and 480 progressive with component? @PlywoodStick Dunno why I said 640 rather than 480. If the Gamecube could output progressive by standard, I'd have thought the HDMI mod would use that. @RupeeClock Maybe it was just their settings. Worth investigating, because there should be an option for either of the two. Melee is able to utilize progressive scan, and it's noticeable when it does. There's a dithering option, too, so that affects the image quality. Keep in mind that the HDMI mod doesn't make the Gamecube render in higher resolution like Dolphin Emulator can. It'll be the same 640x480 resolution video, just really low latency, high quality. inb4 Melee fanboys saying "Melee is the best game ever". @RupeeClock I noticed when I was watching the video, couldn't see the difference between the mod and original lol. Wow! Hope to see "Soulcalibur 2", "Rogue Leader", "Star Fox Assault" and "F-Zero GX" running on that thing! @Megumi You have an opinion?! Why, that's radical! It's cool. But I disagree with you. This sounded like a great idea at first, but this only outputs at native res (480i/480p) and my HDTV introduces a lot of input lag when upscaling SD signals. I'm gonna have to pass. My GCN already looks pretty good on my CRT via S-video, and there's no lag. If I had a high-end scaler like a Framemeister this would be a lot more worth it, but at that point I'm already racking up huge costs just for a slightly cleaner picture. Also the reason why NLife's video has flicker is because they're likely running the PAL version of the game, which does not have progressive scan as an option (since most PAL versions had that feature removed). You can force it with the homebrew program Swiss, though. Seems like this mod would benefit NTSC consoles a lot more than PAL, since 480p wouldn't have that awful flicker. Old, and outdated, sure. That's true, I admit. But boring? Well, that's just an opinion. There are still 100,000's, many even more than that, playing this old game. And do you know why? It's because we love it. Deal with it. £167 for this mod? That's a bit crazy if you ask me and I'm not someone who tends to shy away from this kinds of thing at all. For about £220 you can get an XRGB Mini Framemeister which upscales just about any retro SD device to either 480p, 720p or 1080p without any noticeable input lag. Not to mention a ton more options to play with compared to this mod. Interesting nonetheless, but certainly not something I'd recommend for the serious retro gamer who wants more than what this brings to the table. Composite, S-video, RGB at 480i native resolution to upscale is bad due to interlace combing effect. Component is really pricey unless you use the Wii system which sells cheap component cables. To get the best out of the GC, you need Swiss to Force 480p on PAL games, looks gorgeous and no lag..
Is that the PAL version at 480i? It uses the linedoubler effect which tries to deinterlace but it doesn't look as good as native 480p. I don't like Melee's mechanics, too fast and too floaty. GC Component requires audio from the Nintendo AV cable using up both video slots, 5 cables, analog audio. The biggest selling point is for physical Gameboy purists ranging from B&W to GBA as you can use Gameboy Interface - Ultra Low Latency homebrew and run 240p from SD cables or 480p from HDMI. In fact I could use RGB Scart (SD cable) on my CRT TV and use my HDMI cable on a HDMI capture card at the same time, best of both worlds. @Megumi Uh, probably because Melee has a lot of inputting. This would definitely help with action commands with PMTTYD. ITT: Some people who were never able to figure out wavedashing or L-cancelling. Looks pretty terrible actually. The resolution isn't increased at all, but all softness is removed, so it looks too jagged and pixelly. The graphics were designed to accommodate blurry low res screens. Cleaning up the image is a valiant goal, but there should be a way to keep the softness. Wii U + Devolution is the best way to play imo, you get HDMI, near instant memory card read/writes, near instant load times, widescreen hack, unusual number of controller options, no piracy, etc. More CPU is also a plus but Melee already ran without slowdowns or fps drops. I just use a Wii though, and with an EDTV, Melee and everything else without deflicker looks really good, obviously. Dunno why this devolved into a Bash Melee thread. And people say that competitive Melee fans are toxic. Game is great and stood the test of time and is the best Smash has ever been all around. Wish another dev took notes and makes another game like it with its great mechanics. Out of curiosity, since the first GameCube consoles (including mine) have a fully functional digital A/V port that outputs digital video (4:2:2 chroma subsampled) and audio (see http://gamesx.com/wiki/doku.php?id=av:nintendodigitalav for more information), could an adapter to be plugged in that port be made instead? It would be simpler! @RupeeClock That's what I was thinking. My Gamecube component cables put out a better looking picture than that @ 480p. You can play whatever you want to, sweetie. Literally nobody will rip your gamecube controller out of your hands. But you are not noble, nor are you somehow morally superior, for preferring a 15 year old game. You are not a better person for preferring an older game. @PlywoodStick You are confusing speed with intensity, yes, smash melee is faster than smash 4, but that doesn't mean that it is the more intense game, to me they are equally intense but in different aspects altogether. A lot of melee players don't acknowledge smash 4's intensity just because it's a little slower and doesn't have wavedashing. That´s it. The issue is that melee players are so used to the same old-same old gameplay that they refuse to see that smash 4 has the same potential, but since it removes all the cheap techniques like the aborrhent edge-hogging, they don't even bother adjusting to the new system. What I want to see is some side-by-side of the HDMI mod vs. Component through a Framemeister. This video looks heavily compressed and is full of digital noise. Theoretically, the HDMI mod should look better than the official component cable, as the digital video is never converted into analog. What I'm seeing here is a little troubling. My current setup is component out, through a passive switch (my AVR has only one "legacy input" for component video - and sixth-gen consoles top out at component), then out of my AVR via HDMI and into my DLP projector. The GCN still looks fairly sharp on 120" this way. I leave the i/p scaler off on my AVR, as the projector seems to have a better up-scaler on board (plus I can always switch my display mode to "native" and pop out a ~40" unscaled 480p image that is absolutely razor sharp. Nice but the game already run just fine at 480p through component. @CharlieSmile they're all different games. A lot of people prefer the faster, deeper, more intricate version. To have that in HD probably beats out any other version. @retro_player_22 1080p is vastly different to 480p. Wow, this looks really terrible. No offense to the team who made this but why should we go with the expensive mod when we can use a "Wii to HDMI Converter" on a backwards compatible Wii? I have been using one for about a year and for less than $15, this offers same thing minus the menu options they built into the firmaware. Some titles that really shine on Wii with HDMI are Burnout 2, F-Zero GX, Eternal Darkness, Soul Calibur 2, and TimeSplitters: Future perfect. They all support 480P and Widescreen and look brilliant. For those who can afford the mod, grab the converter. And there was me thinking this was a post about a video mod, not a "which Smash is best" poll. @martinskrtel37 I know but the game plays fine in 480p, all 1080p does is smoothen the polygons. Also running Melee in 60fps is awful as the camera kept jumping back and forth without delay. In the original where it runs in 30fps, at least the camera is a little bit steady making it more easier to follow your character and is much enjoyable to play. For that price, you might as well go and buy the expensive GameCube component cable, which gives you the best 480i / 480p picture and runs fine on a HDTV. Honestly, using the RGB Cable (PAL Consoles), the image still looks great on a HDTV and only costs £10. @RupeeClock @PlywoodStick You can have the mod output the original resolution (480i or 480p on software that supports it) or if the game is 480i you can do a lag-free deinterlace. This obviously doesn't look as nice as the deinterlacing on a HDTV but the trade off is no extra input lag. @TreonsRealm Wii2HDMI has more input lag, no fast deinterlacing, doesn't support 240p, doesn't support Gameboy player, etc. @meppi XRGB Mini has 20ms of input lag, still requires expensive component cables for best results. @Mister_Wu It's theoretically possible but very difficult to build a replacement cable. The connector is proprietary, it would be hard to shrink the board down to fit in. Never say never though. @StuOhQ There are side by side pictures of it here. http://www.videogameperfection.com/2015/12/01/gamecube-component-versus/ The Framemeister is great with 480i but not great with 480p compared to most TVs. @BuckoA51 My idea is to use the power from the digital A/V port to power an active converter that reads the proprietary digital signal and converts it into HDMI-compliant signal, a bit like it is being done in the DAC of the Nintendo cable, but of course all digital and lossless, with autodectection of the nature of the incoming signal (since the information about the digital signal should be given by the port). Is the power from the digital A/V port enough? But most importantly, is it feasible? I'm not an electrical engineer so I don't know exactly what the details of the implementation should be. P.S. : I'm talking about a 1:1 conversion here, with upscaling and deinterlacing left to the downstream device/software. Also, of course, detecting the incoming signal would also mean automatically signalling through HDMI the nature of the output signal. or you could just play Melee on your Wii U with nintendon't (it even supports the GC controller adapter). There is an slightly sharper picture on Gamecube through component than Wii through component. Not that it would be worth the cost of gamecube component cables. There is also the gb player attachment. Although there may be a way to play gb games on a wii. @BuckoA51 Thanks for the images. I'd like to get a hold of a modified unit to test them side-by-side. I feel like a clean video comparison of the various cables (composite, s-video, and component) against the HDMI output would do wonders for establishing just how big an improvement the mod could offer, especially for those without access to a component cable. All of those images could fit cleanly inside a 1080p frame simultaneously. A fun project, for sure! I already have a gamecube component cable. Would this mod give me any advantage over the component cable? @GanonDorf See comment 32, plus it depends on what display you use, what games you play etc. @StuOhQ It was really started as a replacement for component cables since they are so rare, but does have a number of advantages over component cables too.